As promised another way to help Cancer Gets LOST. 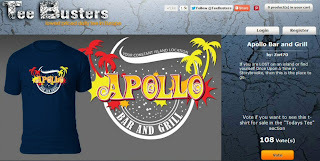 Hopefully you all recognise the Apollo Bar logo that was used during the original LOST ARG, The Lost Experience, and I know some of you still have the original bars stashed away. Well this is my version of the logo incorporated into this t-shirt design and it will be on sale at TeeBusters.com starting on Friday 17th of August for 48 hours. 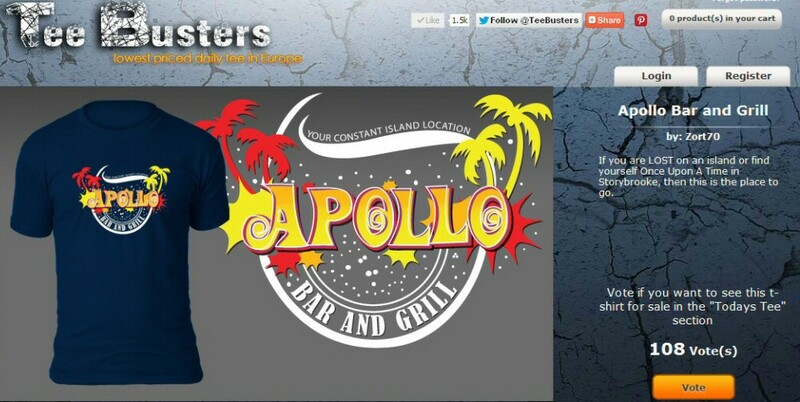 All of my commission from TeeBusters for the sale will go to support the Cancer Gets Lost charity event. Please spread the details of Cancer Gets LOST and please also tell others about the t-shirt so as many people as possible know about it on Friday. Seeing those ART ARG posters up for bid at the "Cancer Gets LOST" auction reminded me of how much fun it was when the posters first came out. This was THE website of record for all things related to the ART ARG.